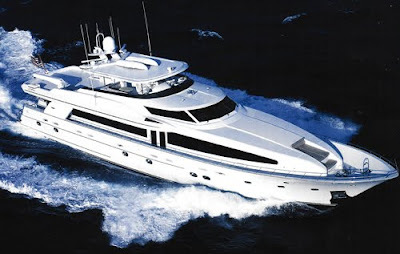 Olga is available for last minute charters in the Virgin Islands or St. Maarten starting December 28 or later! 8 guests - 6 wonderful crew including Cordon Bleu chef and Thai masseuse. Lots of toys and scuba diving from the yacht for certified divers. $75,000/week + exp. Olga is also available in tandem with a 61' 2009 Garlington Sport fishing Yacht on a daily or weekly basis at an additional rate. On a weekly basis "Ambush" can accommodate an extra 2 guests.